A few years ago my grandmother and I took a trip to Hawaii. It was a special, once in a lifetime trip that I will never forget. Just the two of us for a week. It feels like it was just yesterday but in reality, it was nearly 10 years ago! Time flies by fast. One of my favorite memories from that trip was taking a drive up the shoreline on the Big Island to the black sand beaches. We spent an afternoon at Punalu’u watching the turtles wander around on shore. It’s one of my favorite memories. Often, I think about that day and wish we could take a trip back to Punalu’u and see the huge sea turtles on the black sand beach again. One day, I plan on taking Peyton back with me so she can fall in love with the island like I did. Dune Jewelry has a way I can preserve that precious memory in a piece of beautiful jewelry so I can always carry a piece of Punalu’u with me no matter where I am. Dune Jewelry makes a wide variety of bracelets, necklaces, earrings, charms, cuff links and more, all are personalized with sand from your favorite beach. Do you have a beach you hold special to your heart? For me, Punalu’u is a special place. It’s a place that reminds me of taking a fabulous trip with my grandmother to one of the most beautiful places. So I created a starfish pendant necklace with sand from Punalu’u. 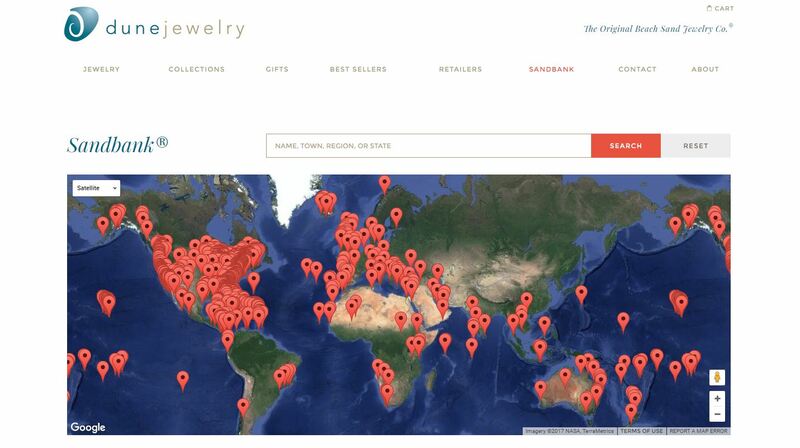 Dune Jewelry has sand from beaches all over the world! There is even the option of sending in sand of your own to be used in your one of a kind piece. Have some unity sand from your wedding you’d like to turn into a piece? 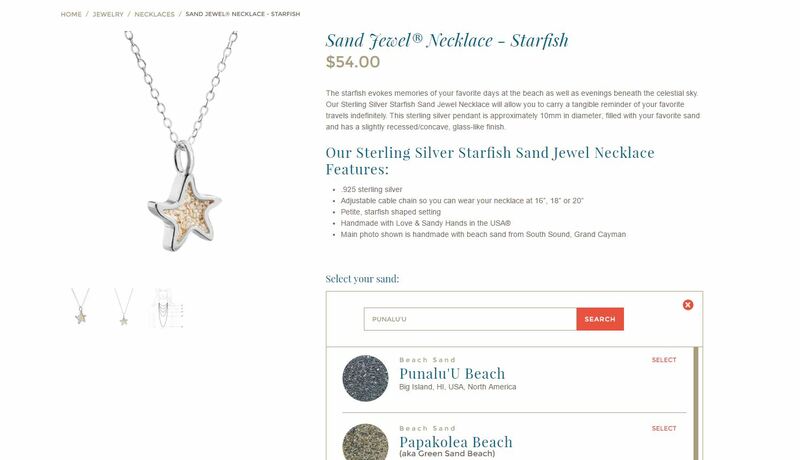 Just order your jewelry on the Dune website and follow the directions to mail them the sand. They’ll turn it into a one of kind piece and mail the finished jewelry to you. I’m in love with my necklace from Dune Jewelry, it’s a piece that will always hold a special meaning to my heart. If you are looking for a unique gift idea that will hold special meaning consider a piece from Dune Jewelry. They literally have sand from all over the world. One of my favorite things about Dune Jewelry is a portion of all proceeds is donated to various coastal preservation organizations. What a unique gift idea! I love it!